GoldMine automatically generates assertions for register transfer level (RTL) designs using a combination of static analysis and machine learning algorithms. We compare four different machine learning algorithms implemented in GoldMine with respect to metrics that determine quality of their results. Metrics include assertion complexity, coverage, expectedness, predictive accuracy, and number of assertions. We introduce a new statically guided assertion mining algorithm, the best-gain decision forest (BGDF) algorithm here. In our comparative study, two of the algorithms have been invented by us for assertion generation, while the two others are standard machine learning algorithms. The best-gain decision forest and coverage guided association mining algorithms developed by us are compared with the decision tree and PRISM algorithms. 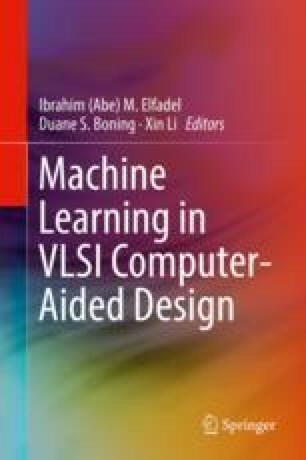 We provide an extensive comparative study of assertion mining algorithms with experimental results on realistic designs. We also hereby provide access to these implementations in GoldMine that can be downloaded from  for research purposes. We thank Debjit Pal for his assistance with editing this chapter.